If you’re looking to build yourself a set of “boulder shoulders” you’ll need to ensure that your deltoid (shoulder) routine contains plenty of variety, incorporating numerous different shoulder exercises designed to hit the front and the rear deltoids. 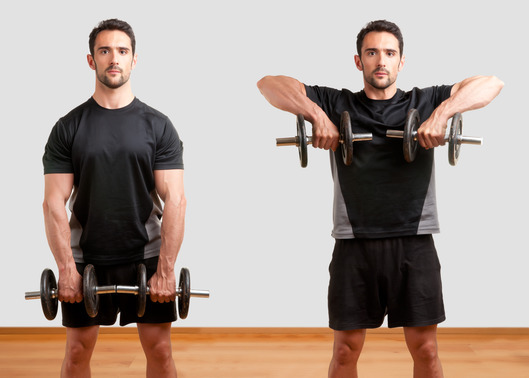 Dumbbell shoulder pressing and barbell military pressing is all well and good, but there are numerous other slightly underrated exercises out there too, which have been proven to sculpt and shape the shoulders, helping to really give them that much wanted cannonball like effect. One exercise for instance, is the upright row. This exercises works the front and rear deltoids, as well as the trapezius muscles as well and for that reason we’ll now be taking a look at how it’s performed using a barbell. Start off by firmly taking hold of a barbell (our photo shows a dumbbell, but the same idea works) whilst using an overhand grip that is a little narrower than shoulder-width. Make sure you use a weight that you are comfortable with, don’t try going too heavy with this exercise. Your arms should now be extended, with the bar now resting firmly against the upper part of your thighs. Keep your back perfectly straight and lift up the barbell, using your shoulders to drive the bar upwards. As the bar comes up, your elbows should now move up and out to the side of your body. As you lift the bar upwards, keep it as close to your body as you can, without allowing it to actually touch you. Continue lifting the bar until it is an inch or so away from touching your chin. Hold this position for a second and focus on contracting the shoulders before slowly lowering the bar back down to the original starting position. Decline Bench Press - What is it, and why you should be doing it? 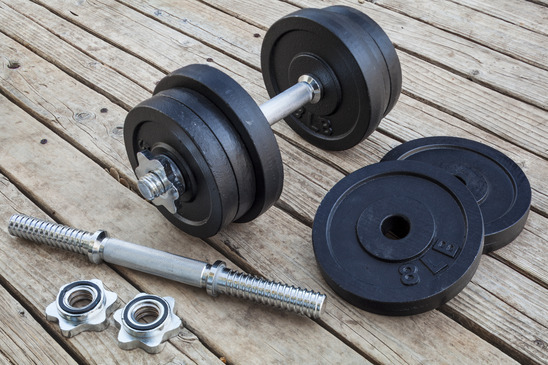 Should you warm up before weight training? – 4 reasons why you SHOULD! Is 5 sets of 12 reps good for muscle size gain?